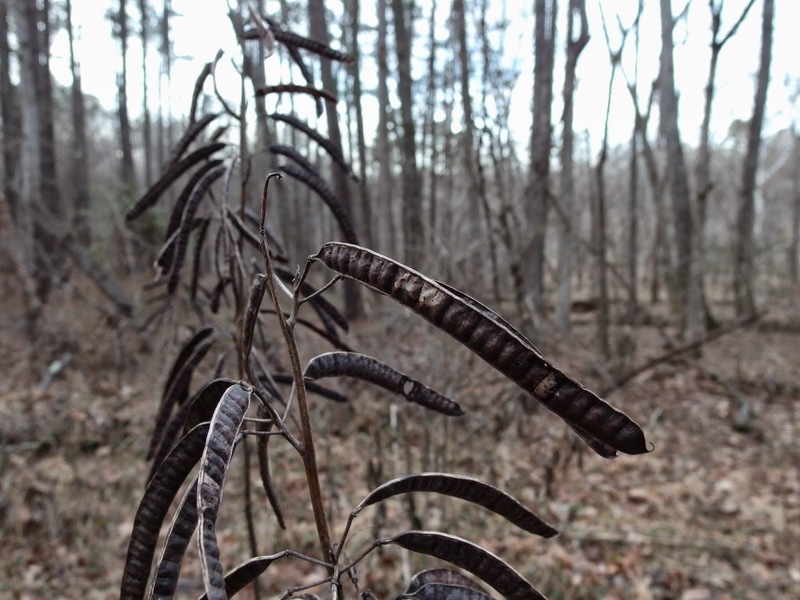 Maryland Senna (Senna marilandica) is a plant I don't often think about in the dead of winter, and especially in moist, riparian forests, but I recently walked by a patch laden with pods near the Eno River. Plants are stout, herbaceous perennials, to 6' or so tall in our area. In late summer they produce some of the brightest blossoms around, both at the top and axils of the main stem. 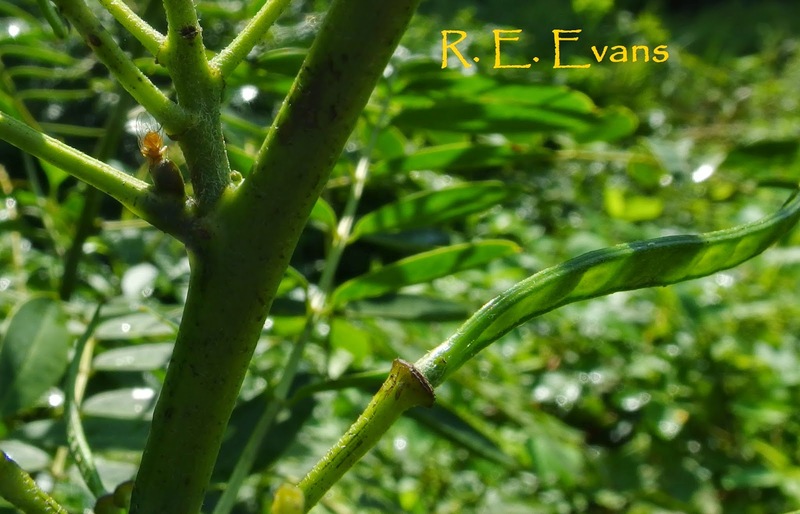 An interesting evolutionary aspect of Maryland Senna is the presence of extrafloral nectaries (EFN) near the base of the compound-leaved petioles. In general, these nectaries are sugar producing glands that offer nectar to ants, who in turn provide protection to the plant from herbivores. 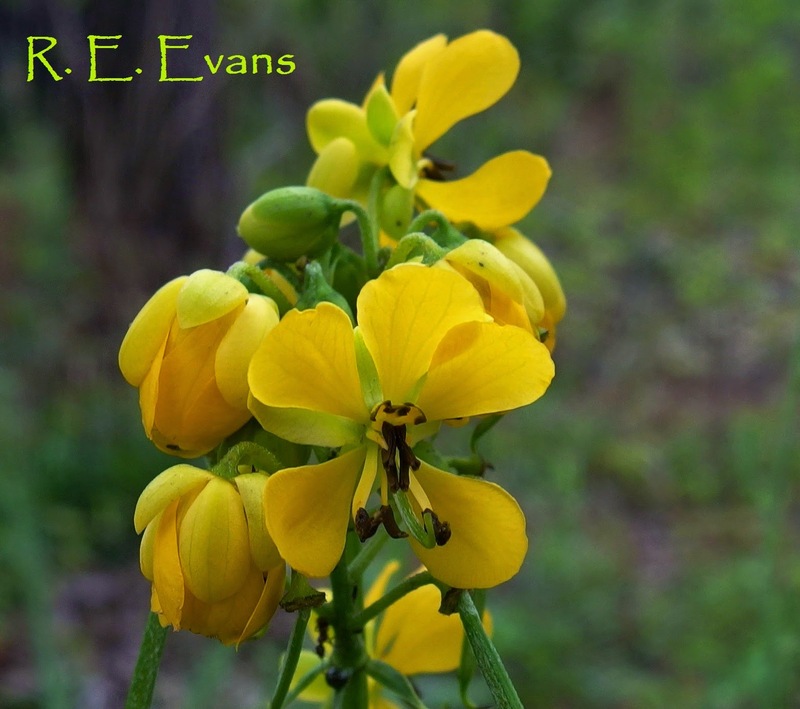 Brigitte Marazzi and co-authors, writing in the American Journal of Botany (2006), documented that Senna species with EFN have colonized a wider range of habitats and climates than species lacking EFN. 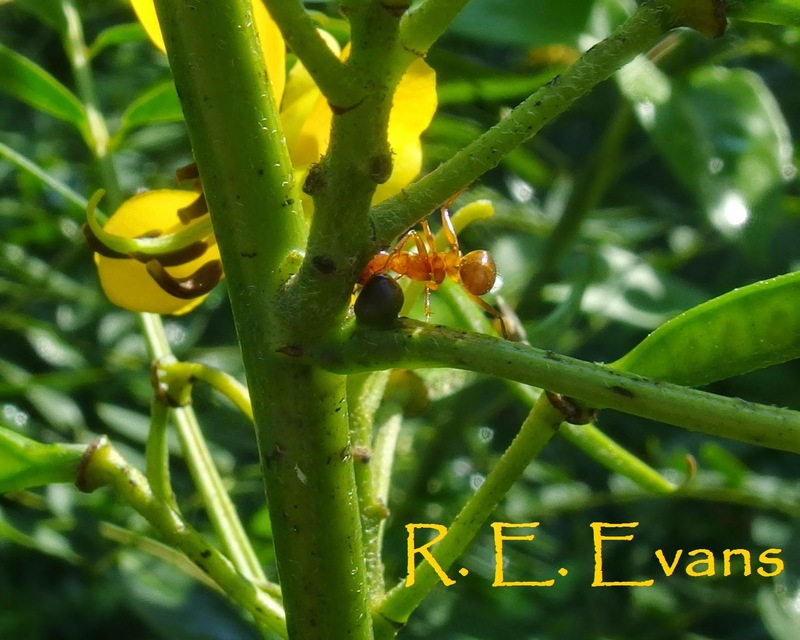 They believe the "ant–plant protective mutualism" has a positive effect on plant fitness and may help to explain the greater species richness of the EFN bearing Senna, as well as the greater diversity of habitats they occupy. 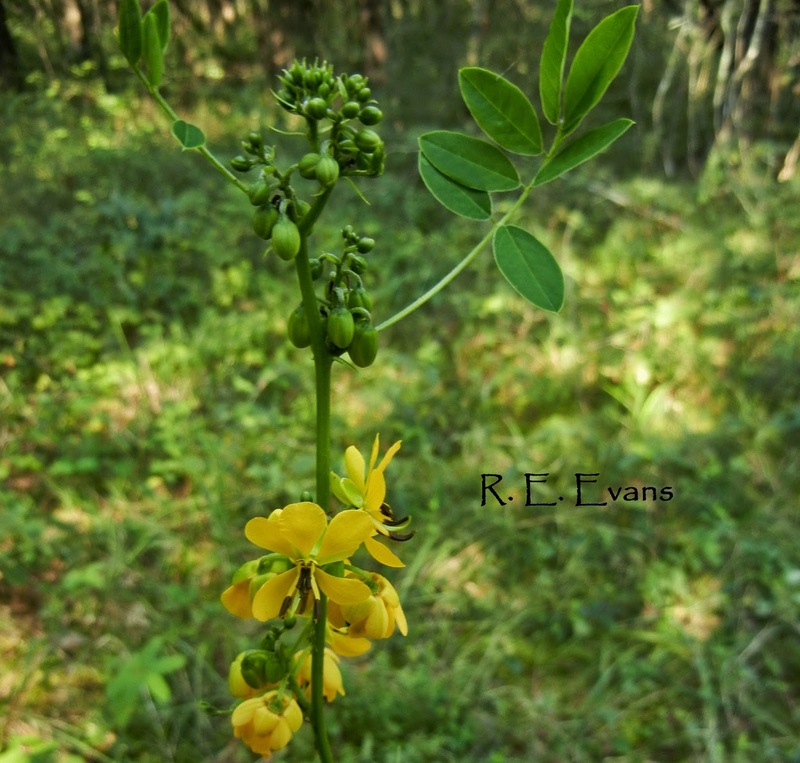 Other than the odd occurrence of Maryland Senna near the Eno River (powerline cut along with Heliopsis helianthoides), I find it most often in open canopied, uplands associated with diabase soils. I sometimes refer to these as savannas (never having seen the plant in closed canopied forests on the same soils and geology). One of the sites for some of these images has been referred to as a "cedar glade." 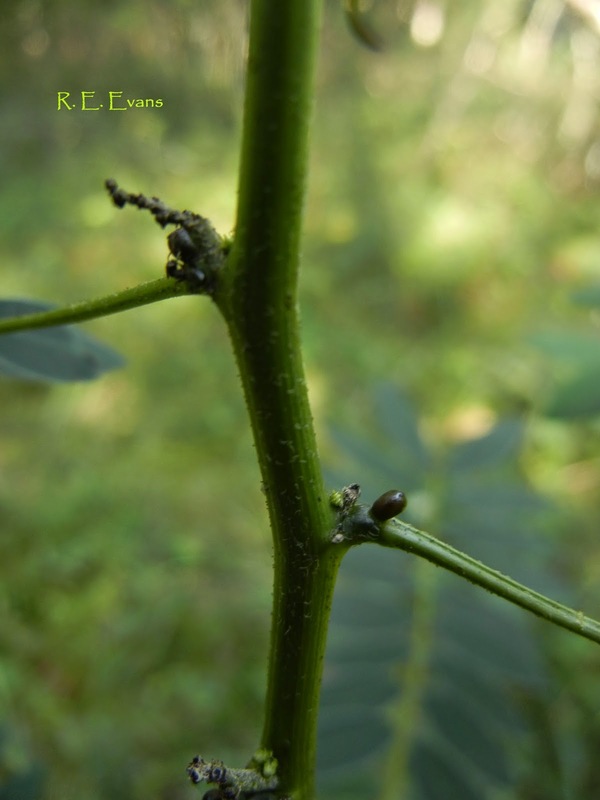 In their study of Piedmont Prairie remnants, Davis and colleagues (Castanea 2002) indicate Senna marilandica has a "strong association with Piedmont Prairies" although they did not document it at any of the sampled prairie sites, only a power-line right of way. There are numerous references in other parts of eastern North America to this species being found in prairie-like habitats. I was lucky to see it, or closely related species, in a Bur Oak Savanna in northeastern Indiana, late this November (see image below), which is managed by prescribed burning.